ESOC Colorado player spawn locations and terrain adjusted. ESOC Bonnie Springs now always spawns the version with small neutral town in its center. Revised number of hunts and trees on the map. Fixed ESOC Gran Chaco minimap thumbnail image. Converted all ESOC maps to UIx. All ESOC maps cured of runtime errors caught using the RMS debugger; this should cause smoother map loading and prevent some random bugs in how the maps spawn. The ESOC Maps mapset is now safe to play in Observer Mode. Added fallbacks for maps with special features incompatible with non-ESOC environment (ESOC Iowa trees, ESOC Malaysia trees, ESOC Wadmalaw trees & treasureset & water). ESOC Bonnie Springs is now functional on RE if both players have EP installed. ESOC Bonnie Springs is now functional in any common non-ESOC environment if both players have the ESOC Map Pack installed for their game version. Implemented new map pack installer from scratch. Automatically generated with EP release, therefore contains latest map versions. Includes automatically generated UI and non-UI versions of all UIx maps for use in non-ESOC environment. 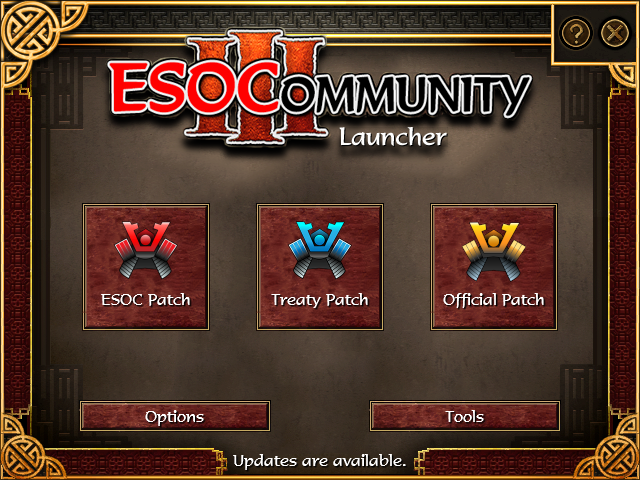 Includes all special maps of ESOC Treaty Patch. Customizable installation destinations for maximum compatibility with other game patches (defaults to RE TAD). Added UHC Plugin support (see explanation above). The "Sandbox" difficulty setting has been renamed to "Observer Mode / Sandbox". Changed default diplomacy stance to Enemy in diplomacy mode. Polished Diplomacy UI (both window and button). KotH timer set to 10 minutes, regardless of player count (was problematic with spectators). Increased minimum orchard distance from TC by 2 (now same as on RE). Fixed Tomahawk ability to build after sending Battlefield Construction. Fixed Iroquois War Hut BB Lacrosse to increase the range of Tomahawks. Monitor XP bounties reduced from 100 to 80. Fixed the rescued native eagle warrior to have proper attack tactics. Added +4 LOS to Travois builder in order to allow dock placement. 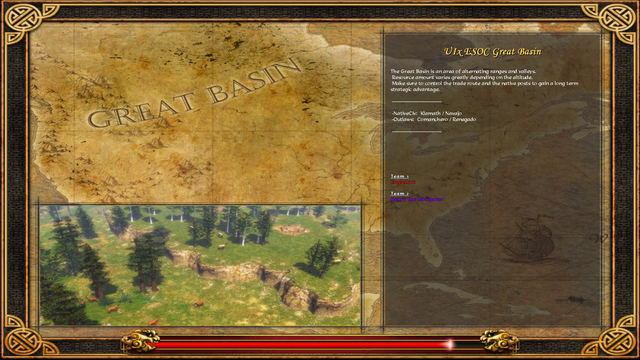 Now automatically installs generated UI and non-UI versions of all UIx maps for use on RE TAD. All custom maps on RE which were generated from UIx are now validated upon launch and replaced with latest version in case they are found to be corrupted/outdated. As custom UI maps generated from UIx are always prepended with "UI 2.2 ", all outdated special versions of those UI maps such as 2.2c/2.2a are automatically erased from custom maps. Fixed an issue causing excessive CPU usage. Added detection of a hack involving market trade. Protect UHC plugin files from external modifications and disallow external plugins for now. Request player's machine to utilize high-performance NVIDIA/AMD GPU when running the game. ESOC Patch environment has been updated to utilize Visual Studio 2017 XP Platform Toolset (up from 2013). This means we now depend on the 2017 Visual C++ Redistributable Packages being installed on your computer, otherwise ESOC Patch may not work properly. If you have trouble updating, please either attempt to install the required dependency from here or reinstall ESOC Patch using latest exe installer, which will handle it automatically. Improved update compression, almost halving the download size of auto-update packages. XS Debugger polish for easier usage by developers when debugging map scripts; swap heap/AI panels, remove unused scrollbars to make scrolling the relevant panels less painful. Redesigned the game's initial launching window. 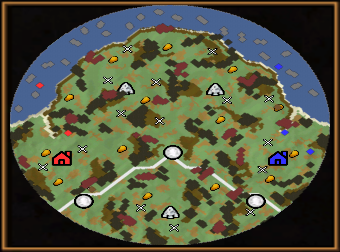 King of the Hill game mode will now display an error and immediately end the game when King's Hill fort fails to spawn on the map. Renamed Difficulty to "Difficulty / UIx OBS". Added unit speed to unit selection panel in minimized UI mode. Added unit healthbar to unit selection panel in minimized UI mode. Introducing "ESOC Team Maps" mapset: Adirondacks, Alaska, Arkansas, Baja California, Bengal, Cascade Range, Colorado, Florida, Fertile Crescent, Gran Chaco, High Plains, Hudson Bay, Kamchatka, Manchuria, Mendocino, Pampas Sierras, Thar Desert. 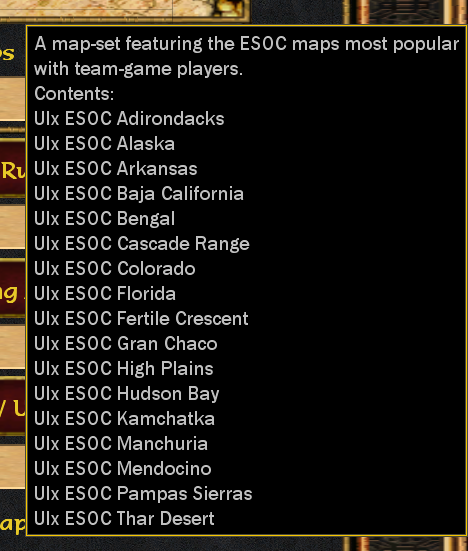 A map-set featuring the ESOC maps most popular with team-game players. "Standard Maps" (also the Quicksearch mapset) replaced by "ESOC Standard Maps" – Adirondacks, Alaska, Arizona, Arkansas, Baja California, Bengal, Cascade Range, Colorado, Fertile Crescent, Florida, Gran Chaco, Great Basin, High plains, Hudson Bay, Kamchatka, Klondike, Malaysia, Manchuria, Mendocino, Pampas Sierras, Tassili, Thar Desert – "A map-set featuring relatively standard ESOC maps, striking a compromise between balance and variety." "Classic Maps" mapset renamed to "RE Standard Maps". "K&B Maps" mapset and all K&B maps removed for being largely unused. A dedicated thread with the latest K&B maps available to download separately is available here. "Team Maps" mapset: Himalayas and New England added; Arizona, Iowa, Jebel Musa, Malaysia and Tassili removed. All mapsets updated to feature contents in description. Weighted mapsets have the map weights denoted. Added UIx version of Deccan, removed old version. Added custom loading screens for all our maps, removed remaining old art from all custom minimap thumbnails. Added UHC plugin support to ESOC Treaty Patch, this allows for the usage of custom cheats and syscalls provided by ESOC UHC plugin. Improved compatibility with other game versions which utilize UHC. ESOC Patch should now be compatible with any other patch/mod using UHC without plugin system. Introduced a large number of new syscalls, notably the Persistent Storage API intended for storing values that should persist in a session-like manner. Full documentation for developers can be found on here. Include custom map thumbnail images to ensure proper display for users with no ESOC Patch installed. Automatically download VS2017 Redistributable Packages dependency only when needed, thus reducing installer size. Main launcher UI redesigned with fresh new graphics. Added button for launching the official RE patch from main launcher window. Implemented "About" window, accessible any time by clicking on the questionmark icon in top right. Displays currently installed EP version and current update channel. Added option for direct launch onto ESO login screen, bypassing main game menu screen. This option is off by default and can be enabled in the Options panel. Activating this option will affect all of ESOC Patch, ESOC Treaty Patch, ESOC XPMOD, RE official game patch and any other patch/mod which shares profile settings with the regular game. Recorded Games Recognition tool now launches the selected recorded game file directly, bypassing the main game menu and no longer requiring the user to select the proper file a second time within the game interface. 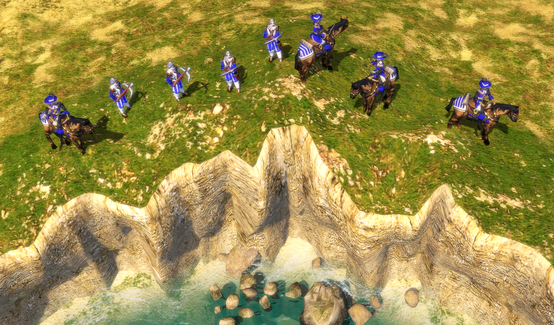 This improvement is implemented both for the ESOC Patch as well as RE official patch. Fixed update install button sometimes acting as a Back button. Removed button for UI map installer from Tools, no longer useful since EP5+ installs and maintains custom maps automatically. Polish of certain texts across the launcher. Fixed a bug preventing the main launcher logo from opening ESOC website on click. Added button for switching onto EP Smackdown version from Tools (works like another Beta channel with its own changes, more info on its purpose here). Automatically create desktop shortcuts for launching Beta/Smackdown channel upon first use of the respective button from within EP Launcher. Implemented window notifications. A minimized game window will now notify a user of their hosted ESO room activity by flashing on the Windows taskbar. A minimized game window will now attempt to force itself into foreground when the player goes in-game on ESO (also works for non-host player and for Scenario games). Network Hook must be enabled in the EP Launcher Options panel in order for window notification system to work (enabled by default). QuickSearch requests are now properly forwarded. The EP Lobbies API as well as the ESOC Discord bot have already been updated to make use of it. QuickSearch game rooms are listed with the searching player's PR, instead of their name. Detect exploit involving explorer ransom. Detect chaining hotkeys allowing for blind selection of multiple unit types at will. Detect chaining hotkeys allowing for blind deletion of wall pillars. Detect Alend's advanced hack program (thanks Alend for cooperating with us). Fixed a security hole which could allow the user to open dev console. Fixed an issue preventing XPMOD to launch on most systems. Reworked XPMOD to share all game data files with ESOC Patch, except for the one file relevant for XP bonus. This reduces download size and keeps XPMOD up to date with latest EP releases, instead of falling behind (XPMOD was running on EP4 dataset previously). The map selection is now also no longer restricted to mapsets and offers all maps as present on ESOC Patch. Fixed an issue causing all UIx maps to spawn in 4-player size version when in observer mode with only two players and no observers present. The fix is also propagated to the UI 2.2 map versions available in the compatible map pack (installer already updated). Implemented seasonal Winter versions of the following maps: UIx ESOC Fertile Crescent, UIx ESOC Florida, UIx ESOC Mendocino, UIx ESOC Pampas Sierras. 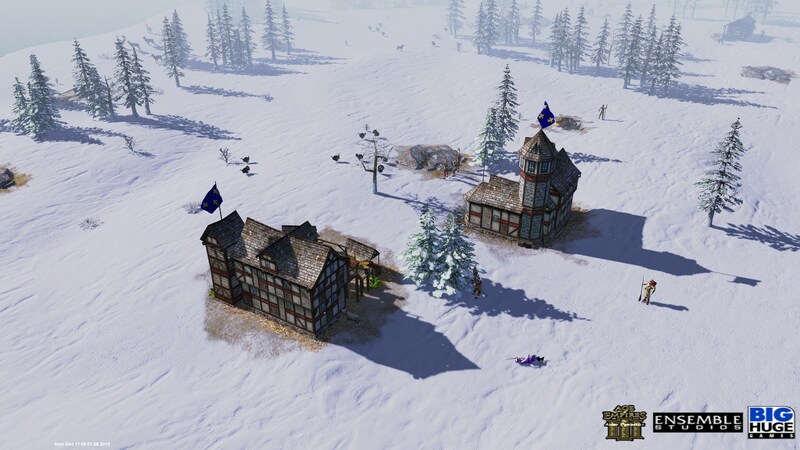 The Winter theme on these maps will be active only in observer mode and only during the Winter season, that is from December 21st until March 20th (GMT, inclusive). Recorded games will now output exact date/time that the match was played on. Reworked all minimap thumbnail images to be more clear, added minimaps for all RE maps except Unknown. Introduced a collection of new syscalls for retrieving date/time. Full documentation for developers can be found on here. Detect exploit that would allow spawning free walls. Renamed "ESOC Patch" desktop shortcut name to "ESOC Patch Launcher", clarified last installation step. This page was last edited on 6 January 2019, at 22:52.